14th March – ZONTA UN DAY / CSW63 dinner with ZI President Susanne von Bassewitz. 28, August ***Possible event ???????? 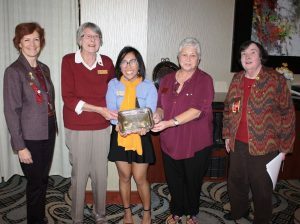 This award was initiated and developed by Past Governor, Margaret Mitchell, 2008-2010, to be presented to a club for an event that displays a sense of teamwork in working together to promote Zonta’s Mission. Sample projects could be an Amelia Earhart event, a fundraiser, chartering of a Z club, a Service project, opening a new club or hosting a seminar, workshop or conference. We raised $6500 to sponsor a room at the new shelter, for a homeless woman. Also that we are continuing to raise money and the hands on work we will continue to do once the women move in. I’m so very proud of everyone, with all that has happened since 2016 we still did amazing service and advocacy in our Ottawa community and to be recognized for this TEAMWORK is an incredible feeling! Members of Zonta are executives or professionals in a recognized business, institution, or profession who are willing to support the objectives of Zonta. The Zonta Club of Ottawa, Ontario, is a member of Zonta International, a leading global service and advocacy organization with more than 29,000 members worldwide. 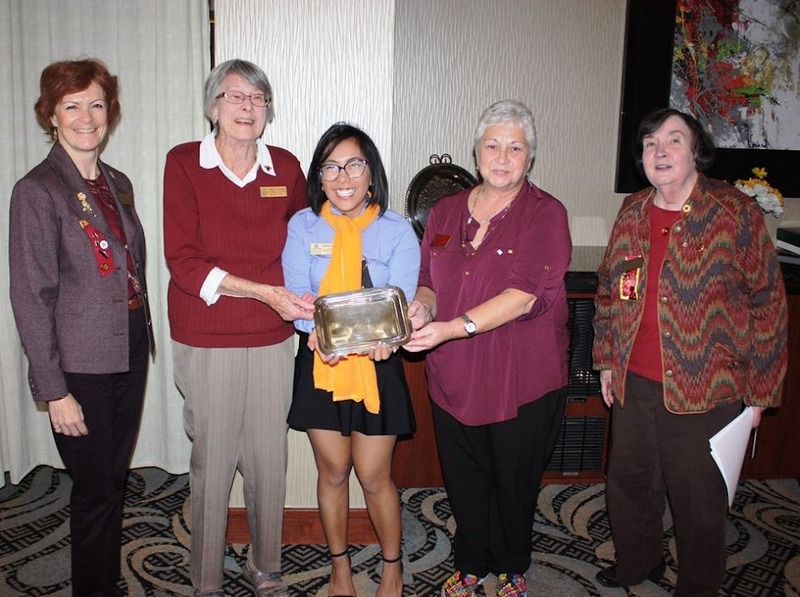 Founded in 1919 and named for a Native American Sioux word that means “honest and trustworthy,” Zonta is made up of executives and professionals who work together to empower and assist women locally and internationally. The Zonta Club of Ottawa was chartered in 1929. While Zonta is active in 63 countries, our clubs are not divided by country. Rather, our members work in geographic regions that transcend national and provincial borders. For example, Zonta Ottawa ON is part of a District that includes clubs in Montreal and many parts of New York State. This global structure enhances the truly international nature and scope of our mission and mandate. Are you a single mom and new immigrant living in the Ottawa-Gatineau area? Are you pursuing your studies and in need of financial assistance?.. Be sure to see the UN and Zonta page under Zonta International. Important information is updated often.